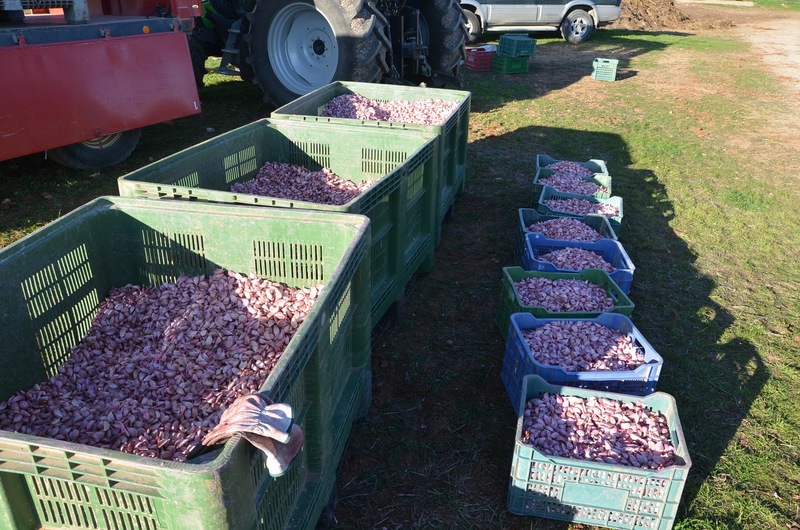 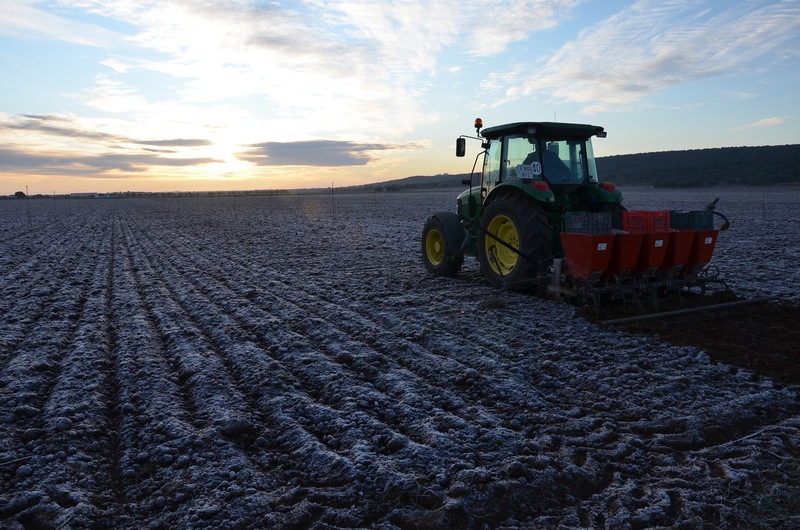 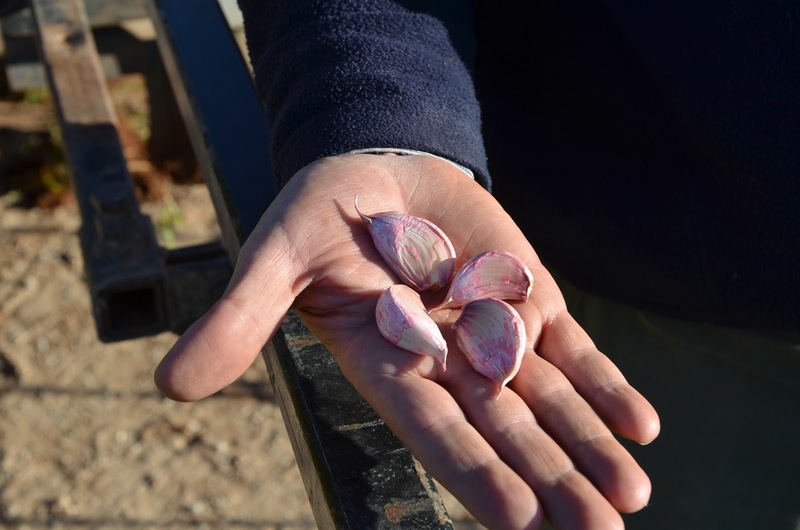 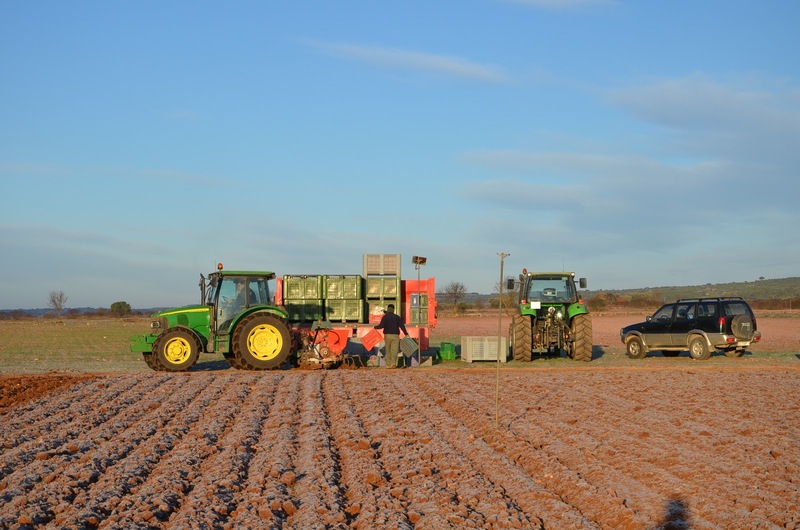 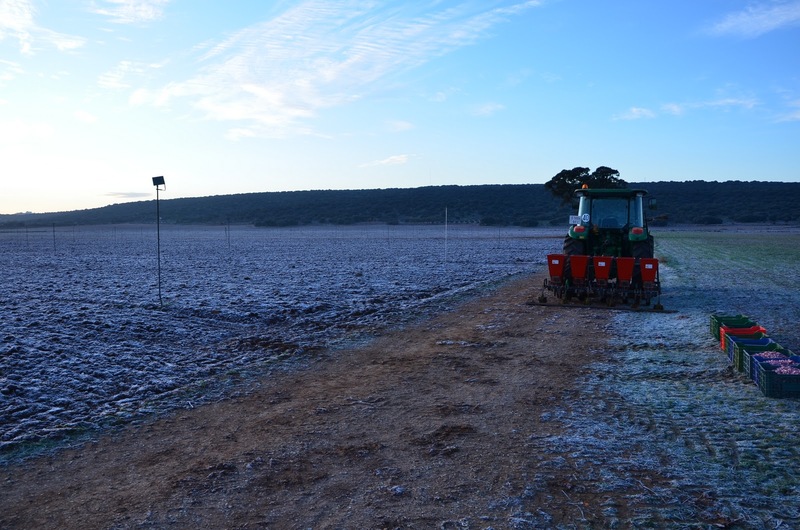 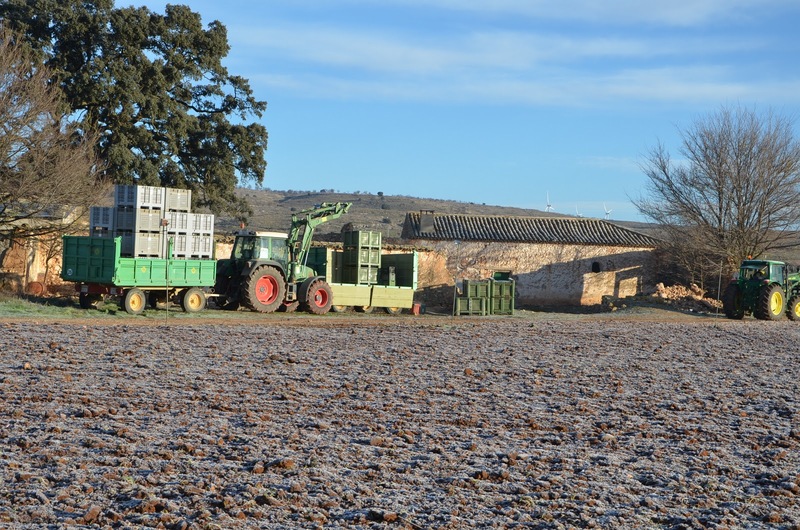 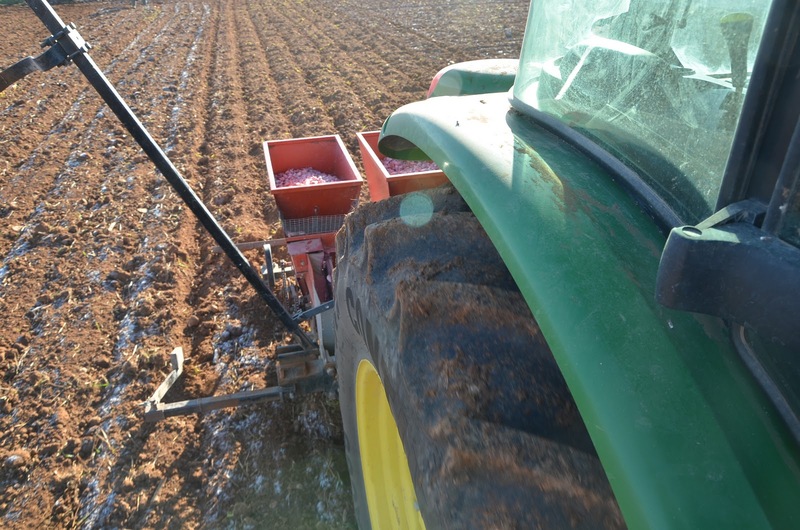 In December, we are doing the latest sowing work of this season: the planting garlic. 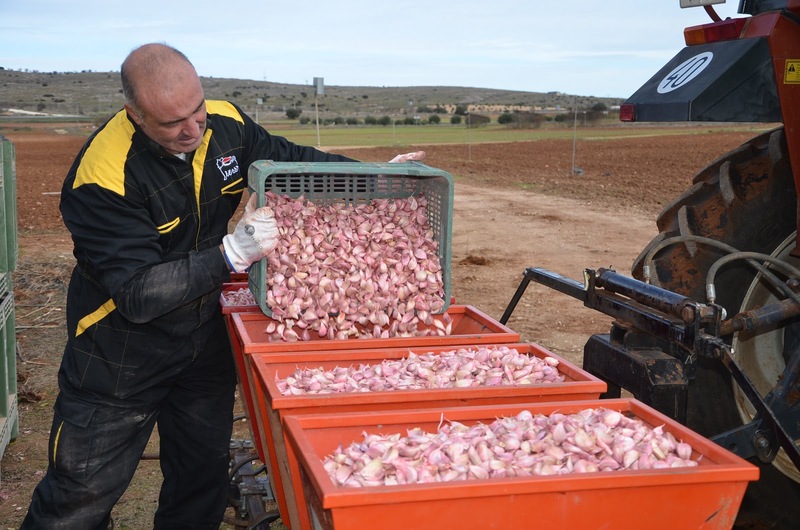 Before that, we have to prepare garlic cloves in Cooperative, where garlic are threshed, classified and treated chemically. 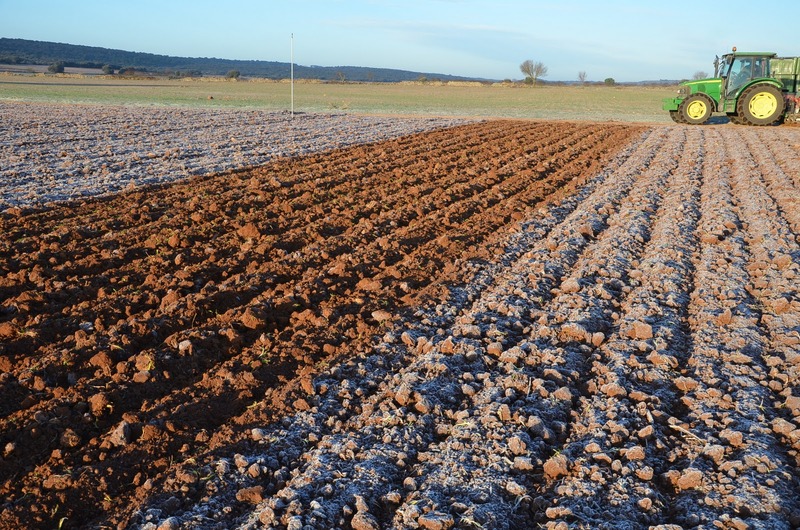 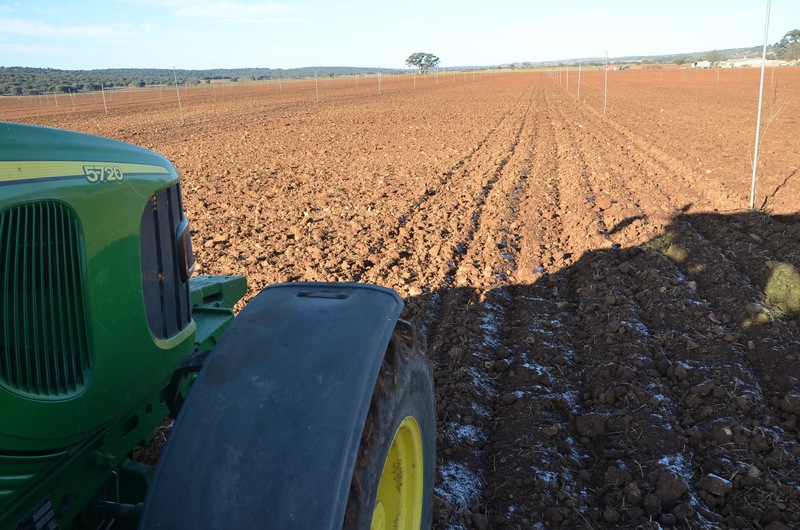 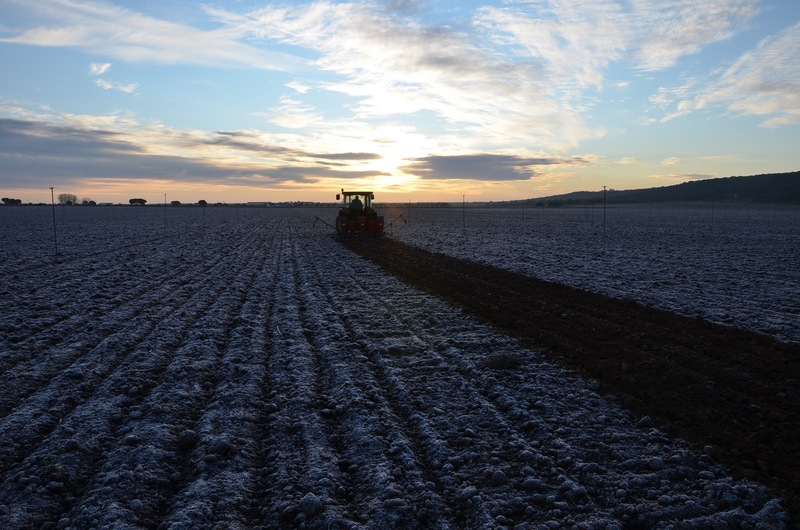 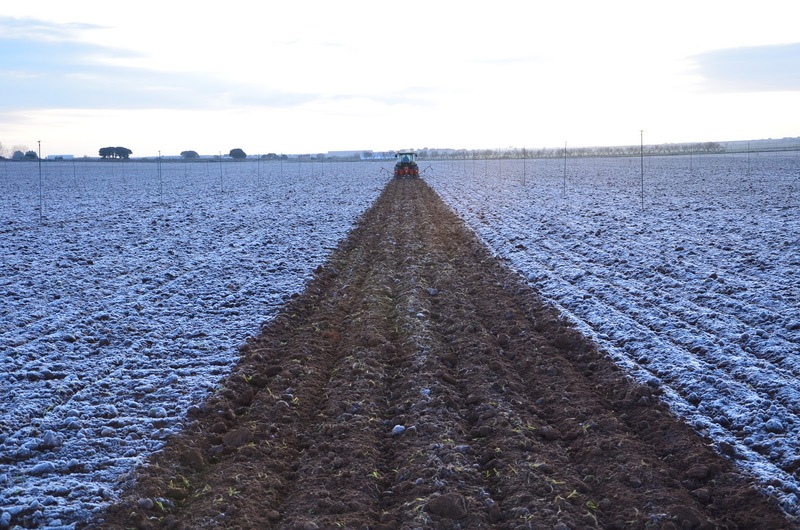 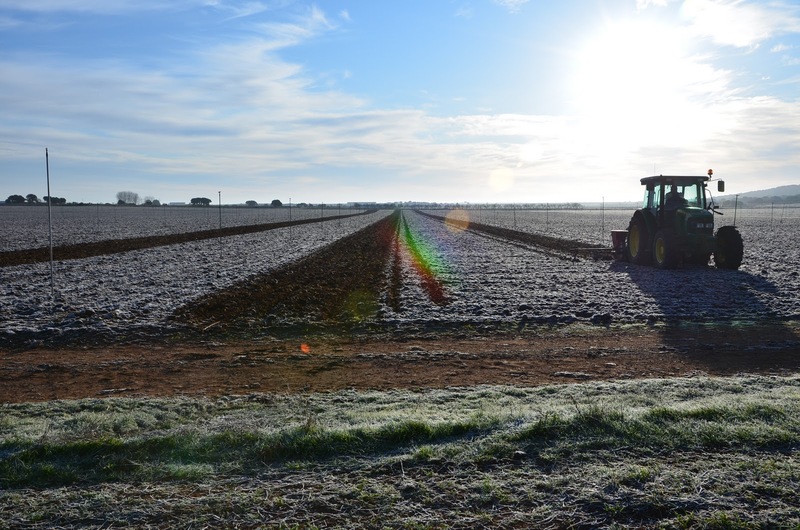 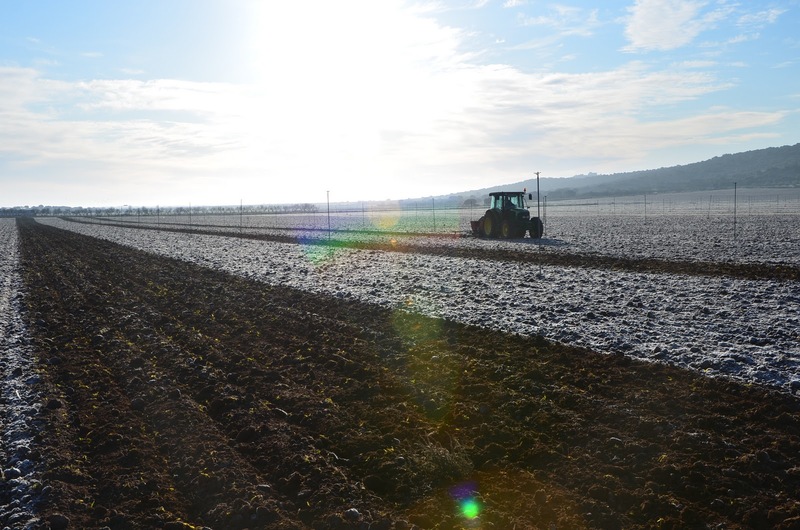 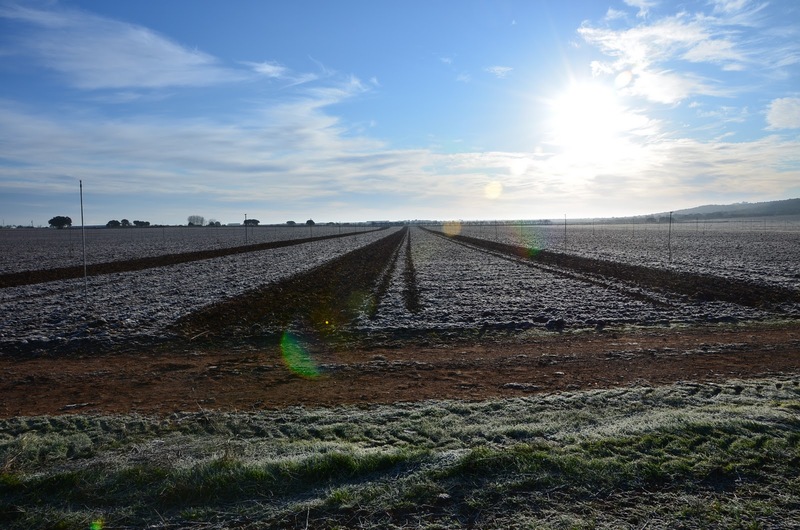 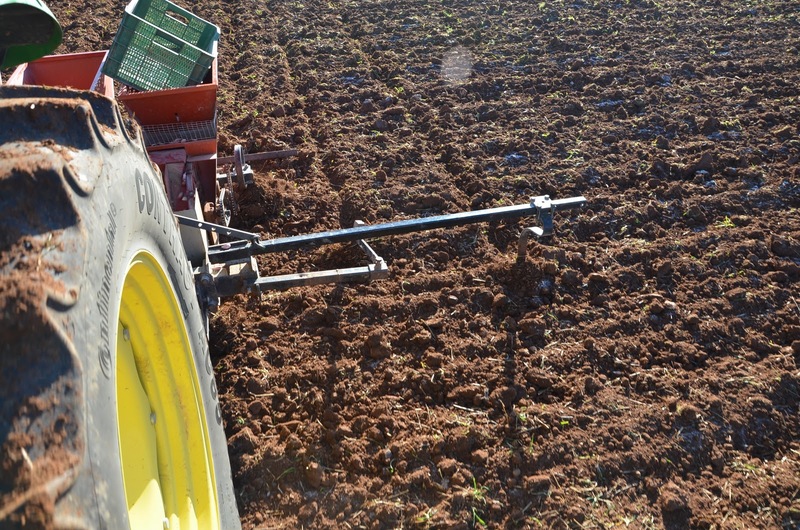 The planting garlic task requires an important careful attention because we need to create straight rows which will make easier to harrow them. 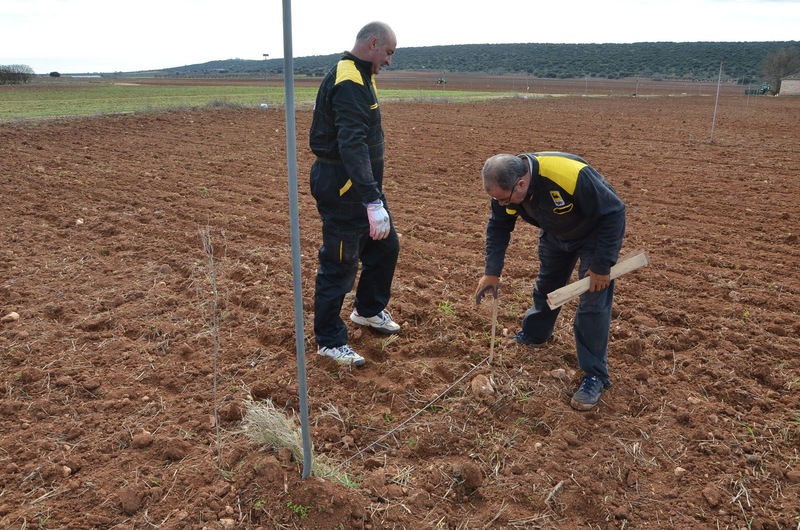 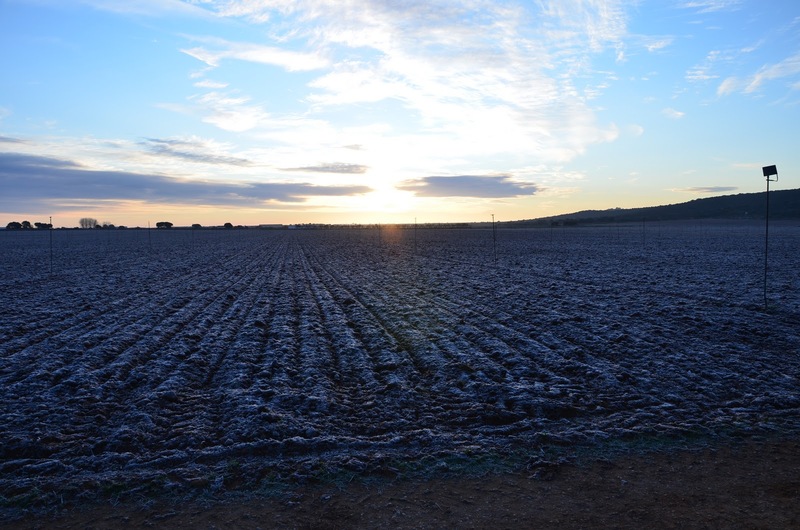 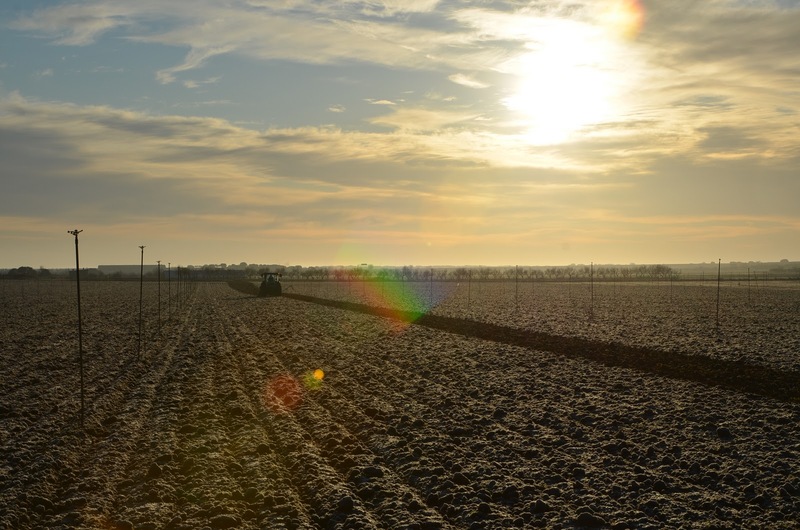 Water system, with fixed sprinklers, hinders our planting work as you can see in our pictures. 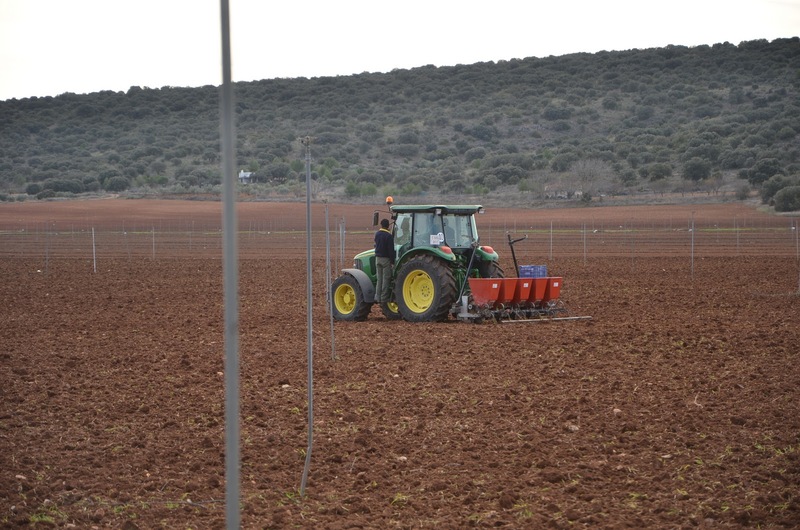 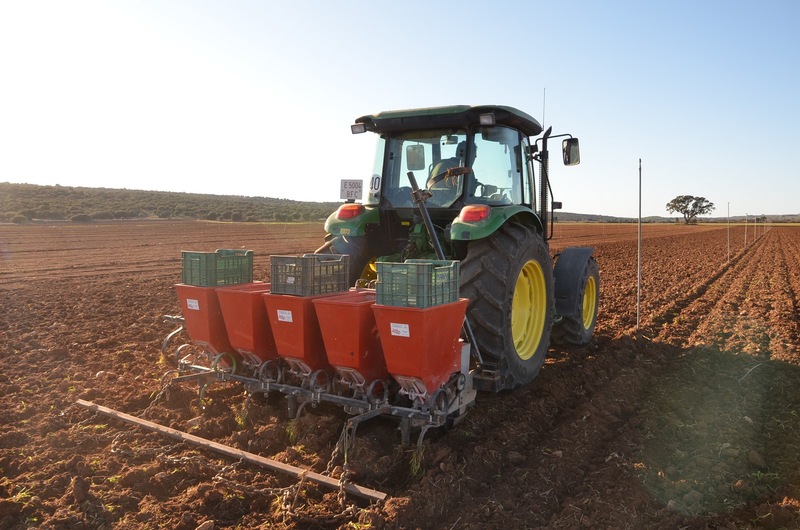 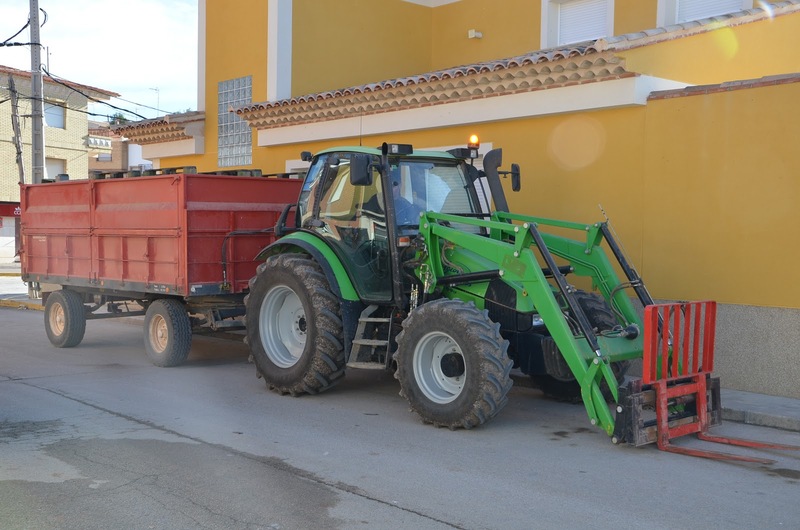 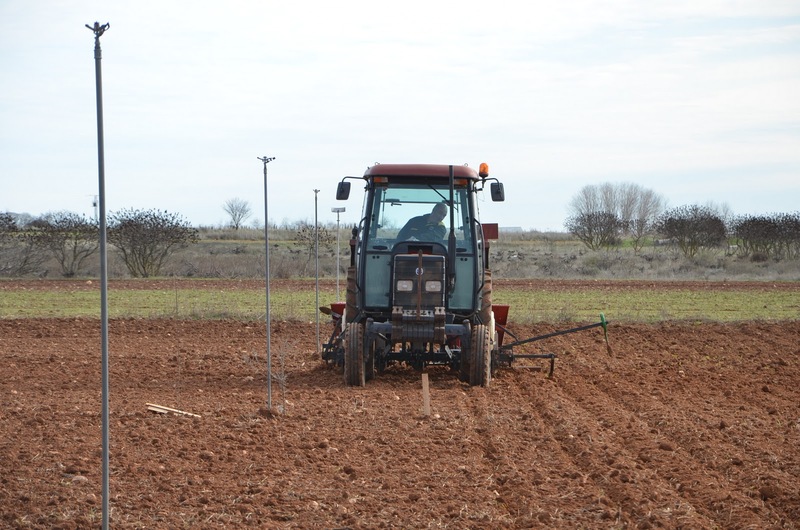 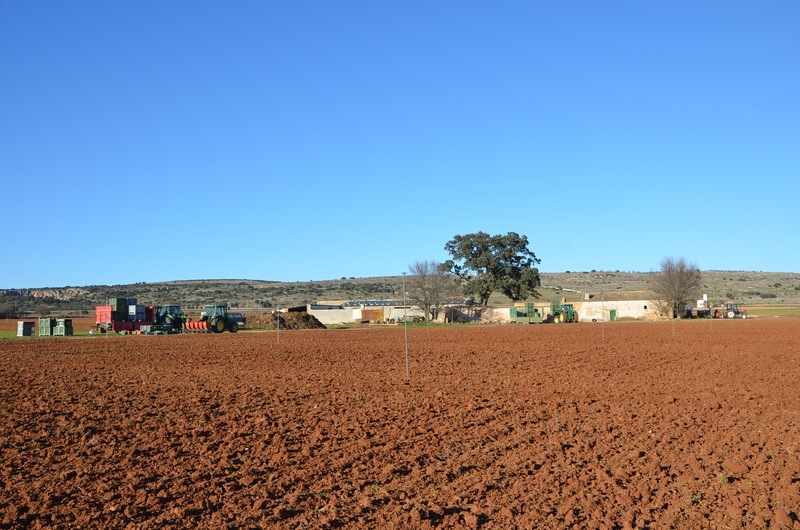 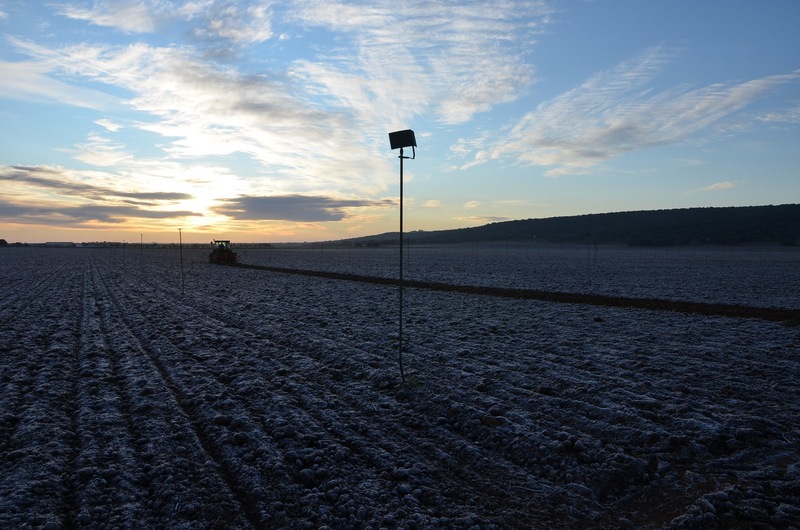 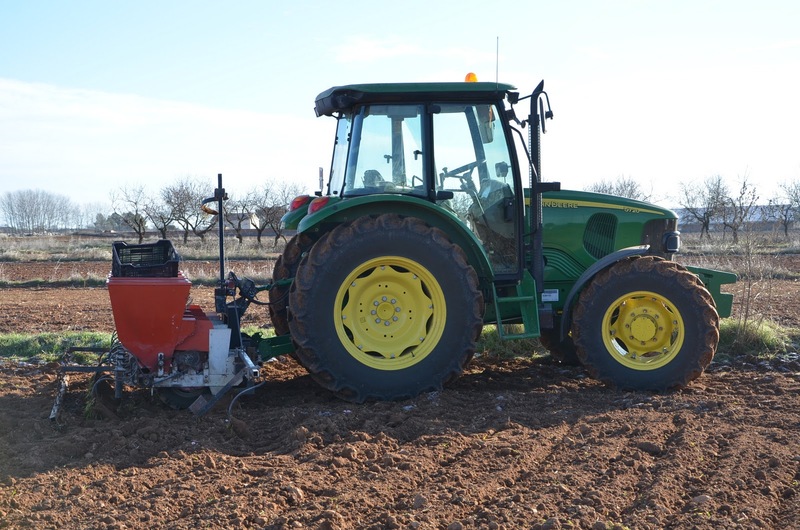 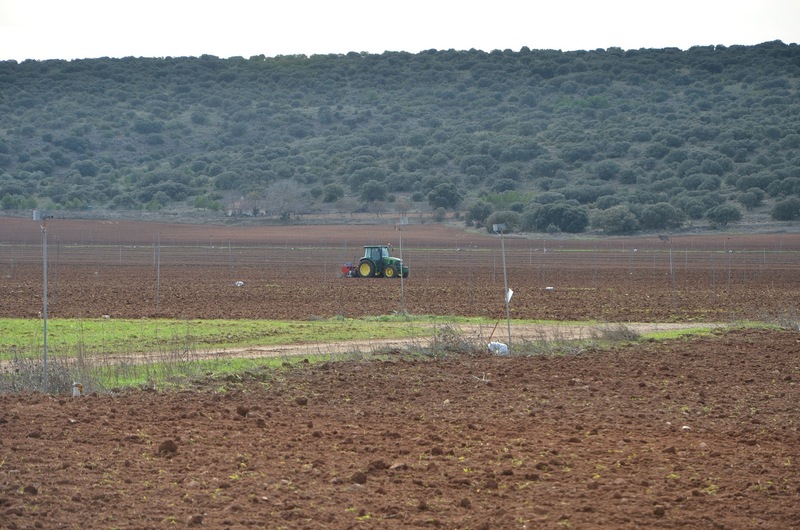 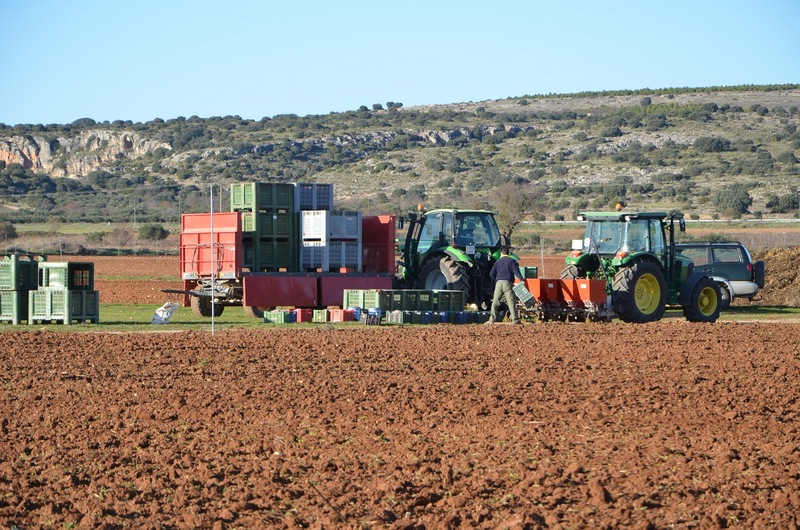 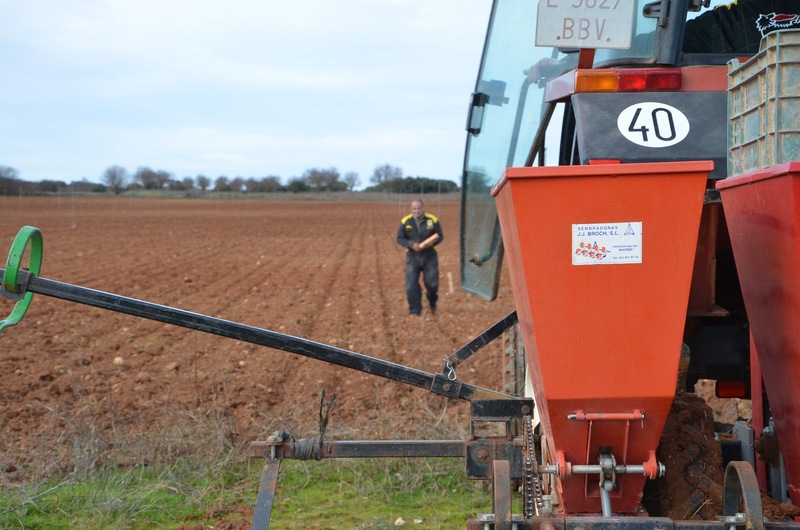 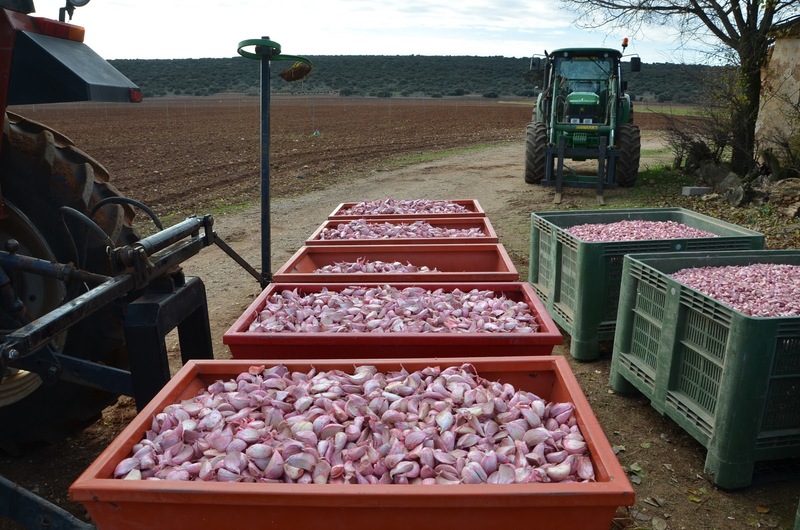 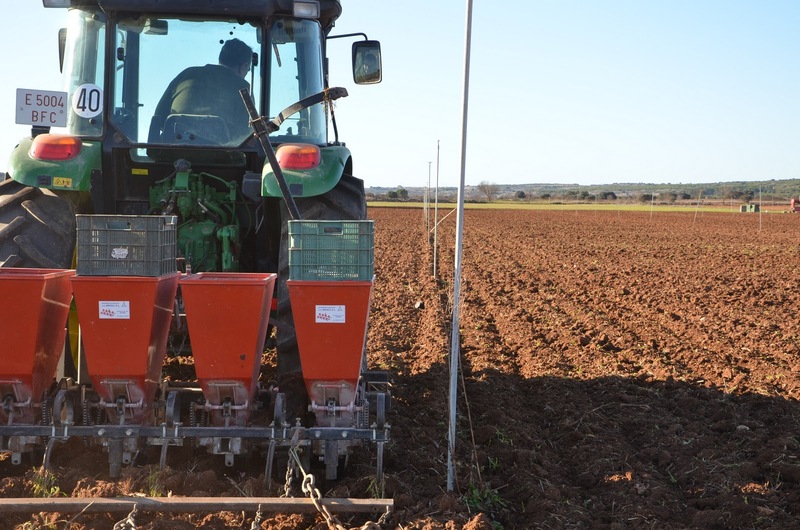 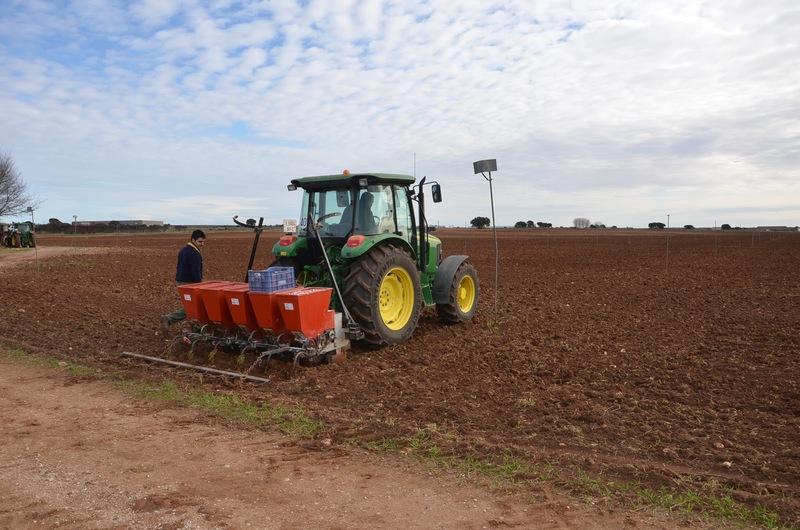 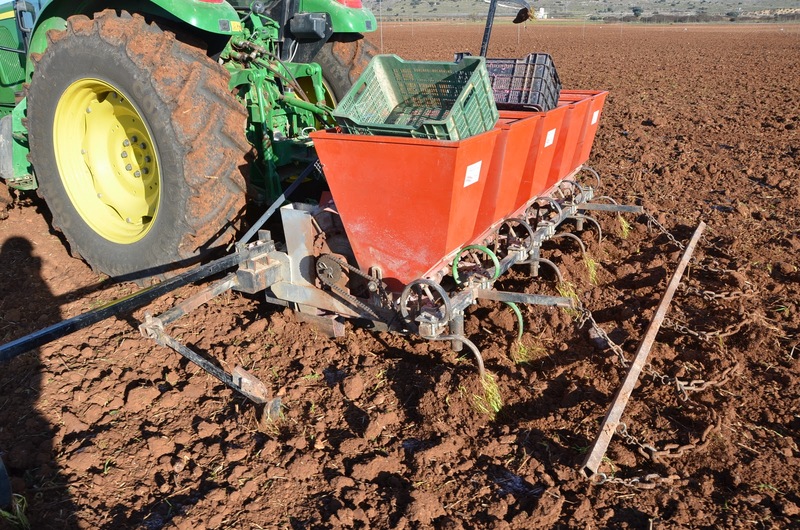 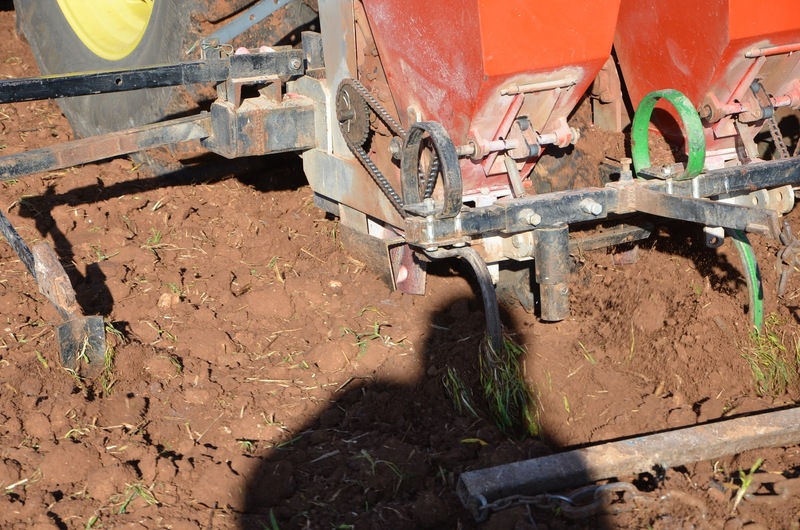 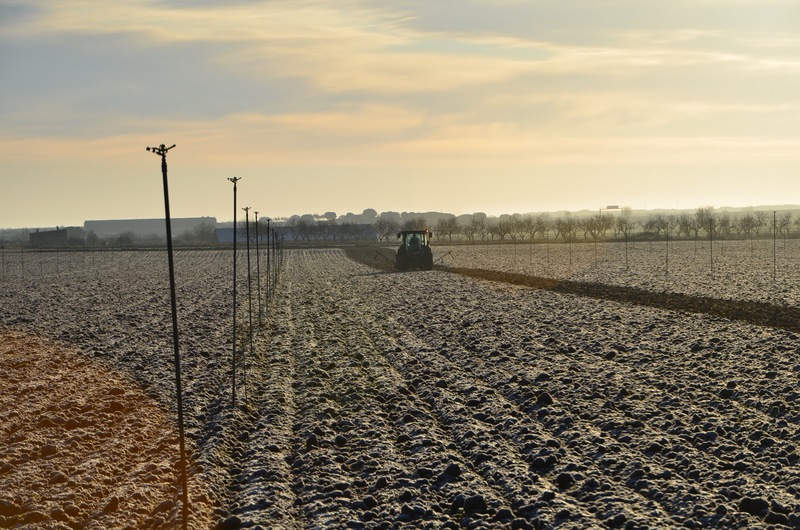 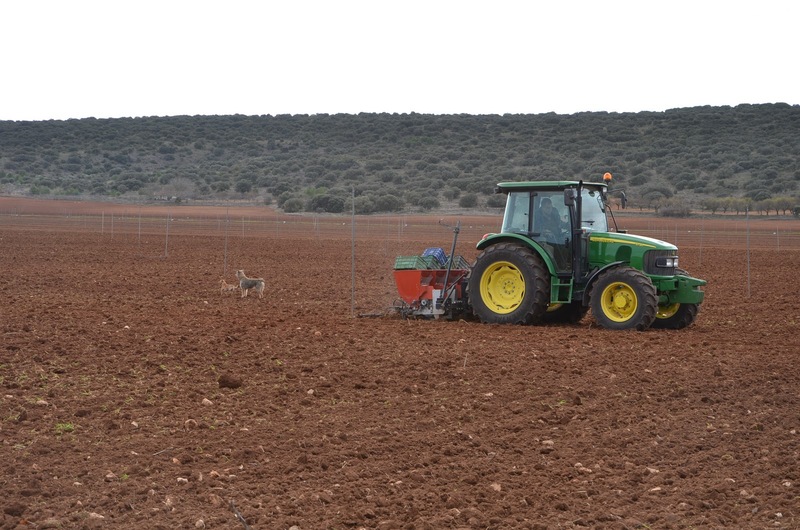 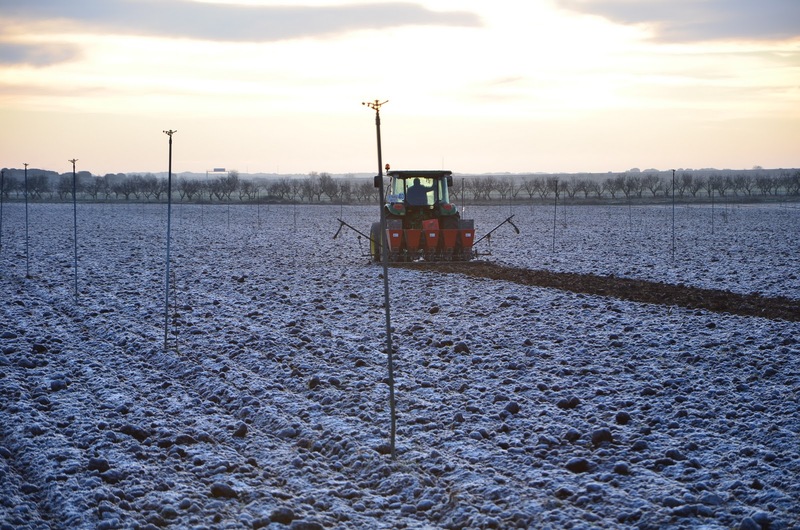 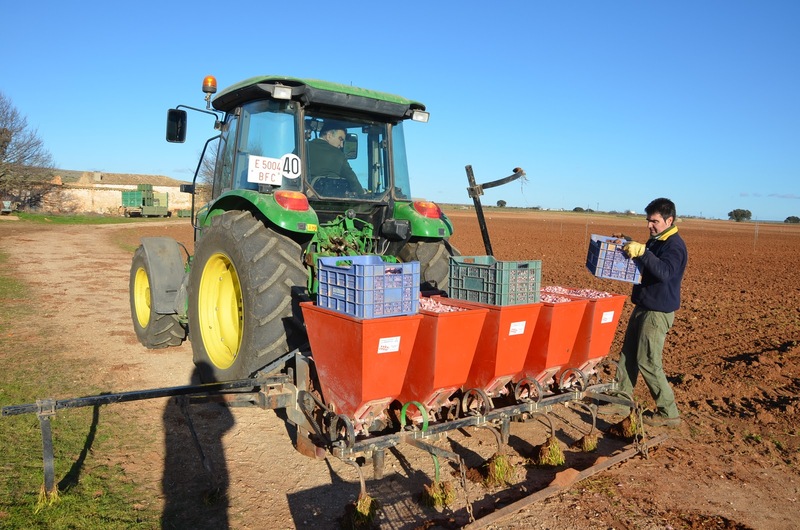 We use a J.J. Broch garlic planter of five rows, which allows us to plant about 4ha per day at 3.5km/h. 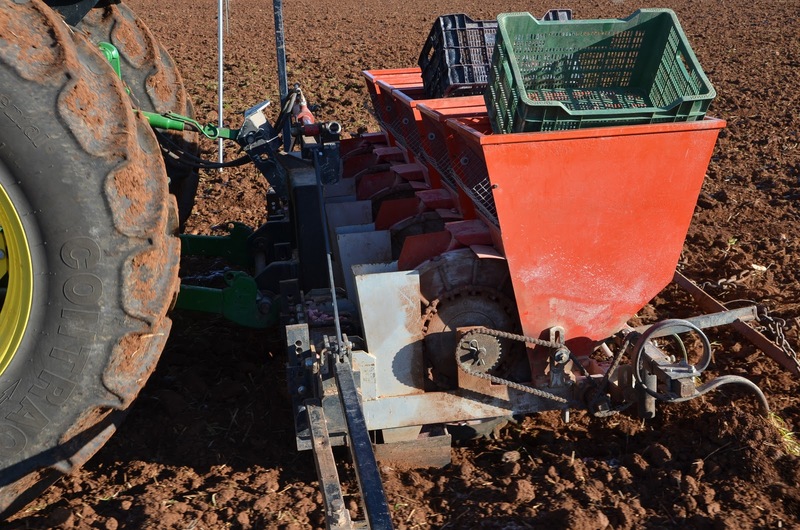 You can see our video from our YouTube channel. 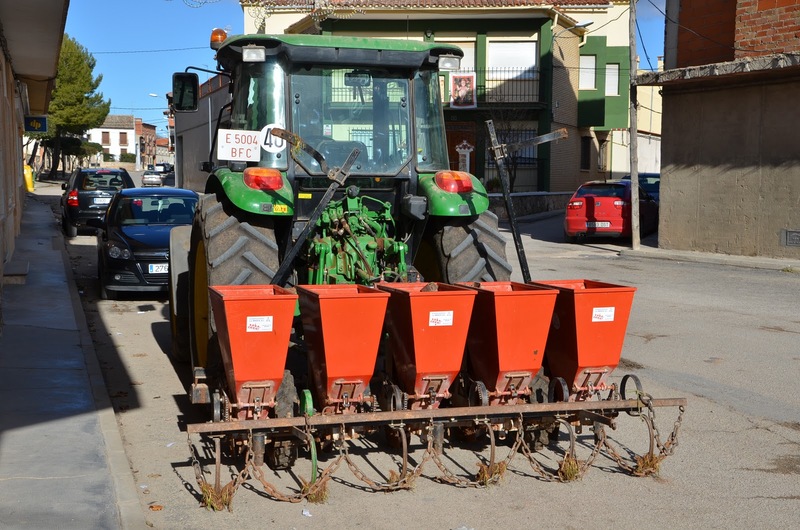 Can i have a PDF design of that planter. 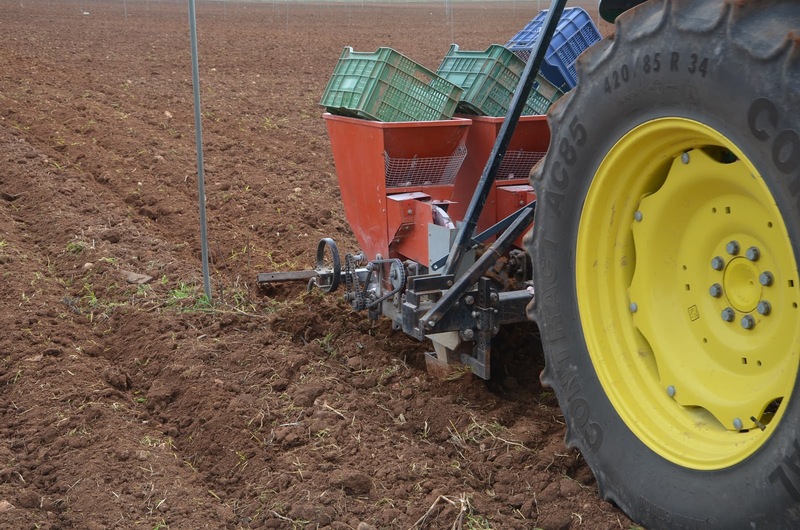 By the ways I am Nelzon Alcular, from Philippines and I'm currently finding for some machine design specially agricultural related topics. 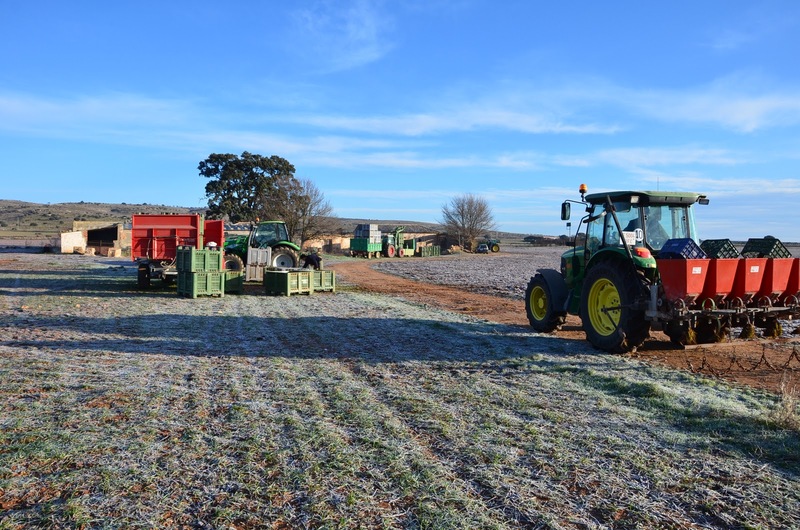 I find your vid amazing. 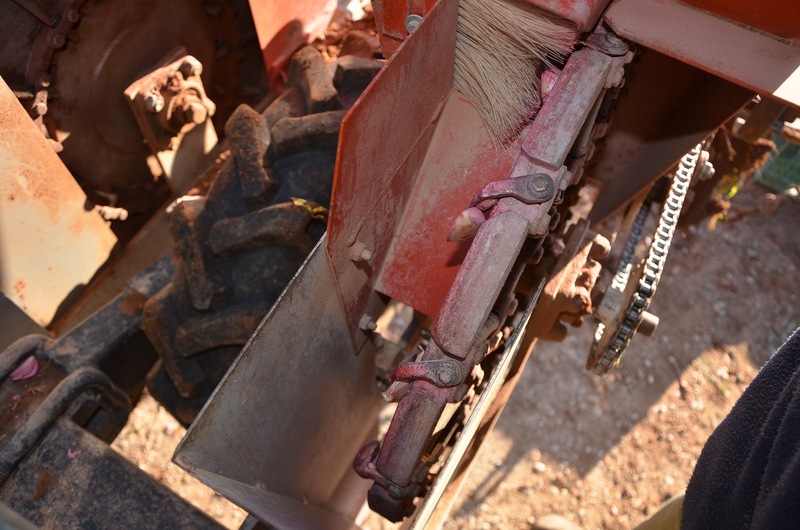 Hope you still have a PDF file on that Implement you use. 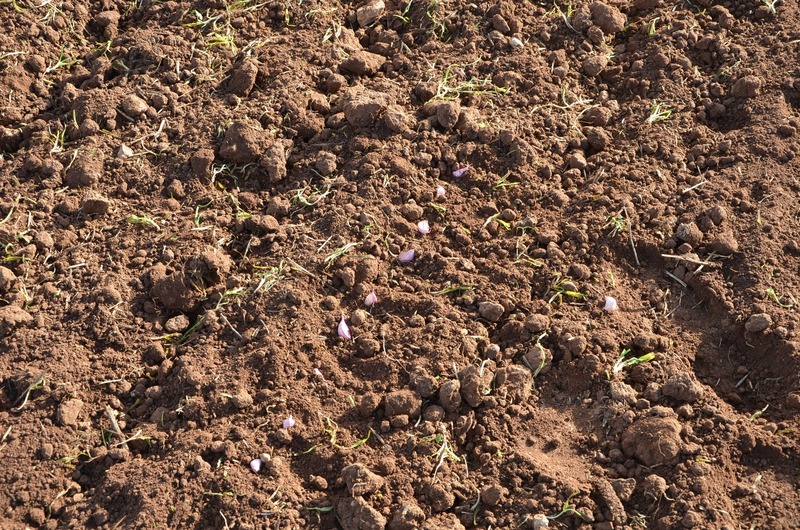 Lastly this is my mail. 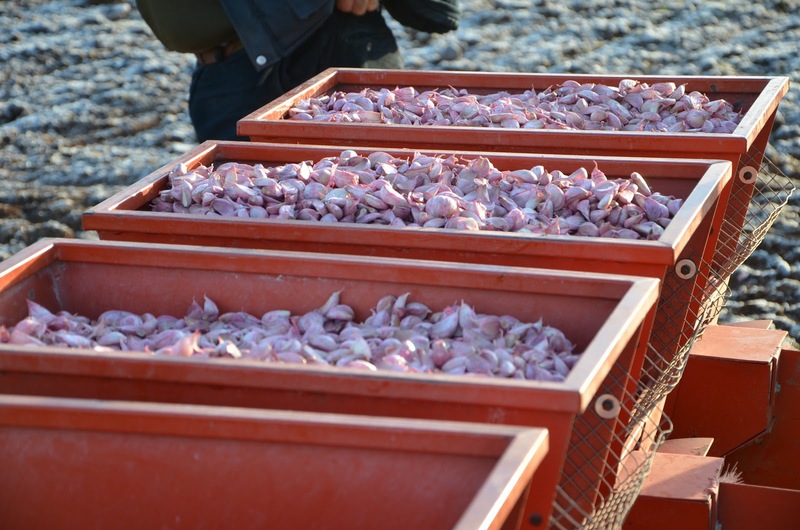 nelzonalcular@yahoo.com in case if you still have the file. 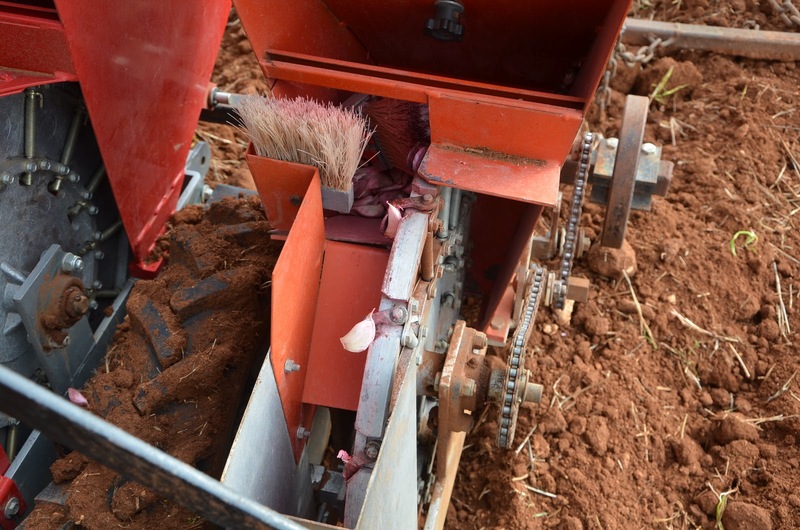 We don't have any pdf desing about these machinery.